It started like any other – positive. Full of hope that it could be the year that everything turns around and we could actually make the world a better place. As the months flew by, we proved to ourselves that we are indeed only human, and continued to make the same (and some much worse) mistakes. We killed people. Hated and vilified those that are “different.” Violently disagreed. Took two steps forward just to take three steps back. We collectively lost some of the most beloved people to ever grace us with their many talents. And yet, in spite of all the negative, we press on. The power of the human spirit takes over, and we look to the new year again full of hope that it will be different. Better. The same goes for this little soapbox blog of mine. Changes are a-comin’, folks, and they’re all of the good sort. And don’t worry – there will still be plenty of food! Until then, why don’t we take a trip through the last 12 months and see what you guys loved the most? These were the 10 most popular posts on The Crumby Cupcake this year. This is what you guys were hungry for, apparently. This one was quite a surprise for me to see in the top 10! 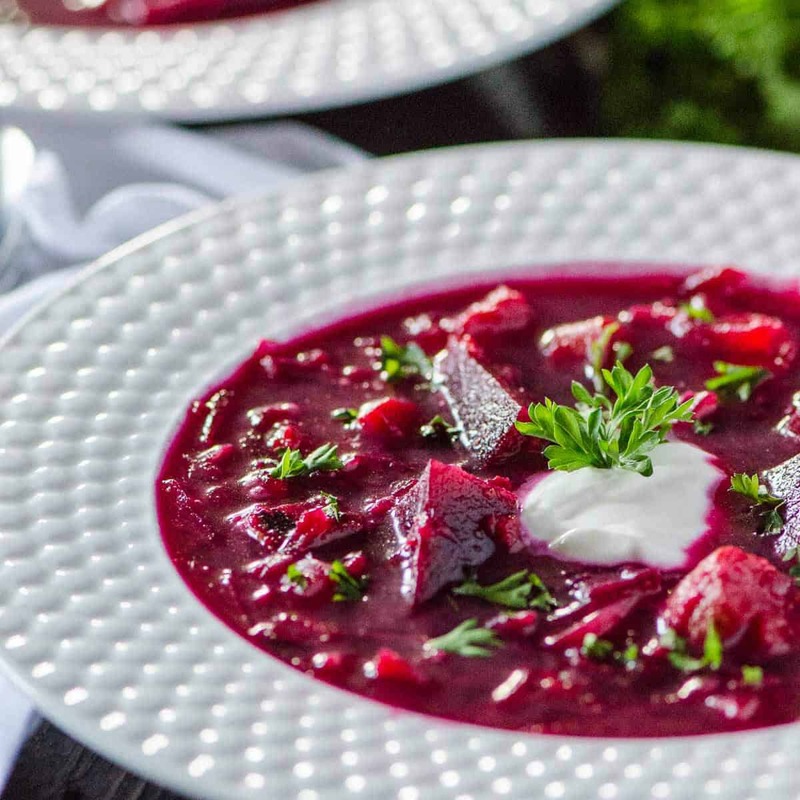 I mean, I love a good soup as much as the next guy, but who knew a cold, magenta, Russian beet stew would tickle your fancy?? I had a feeling this baby would make it. Even only having been on the blog for about a month, I had so much positive feedback on this cake both online and in person, it was clearly a hit in the making. 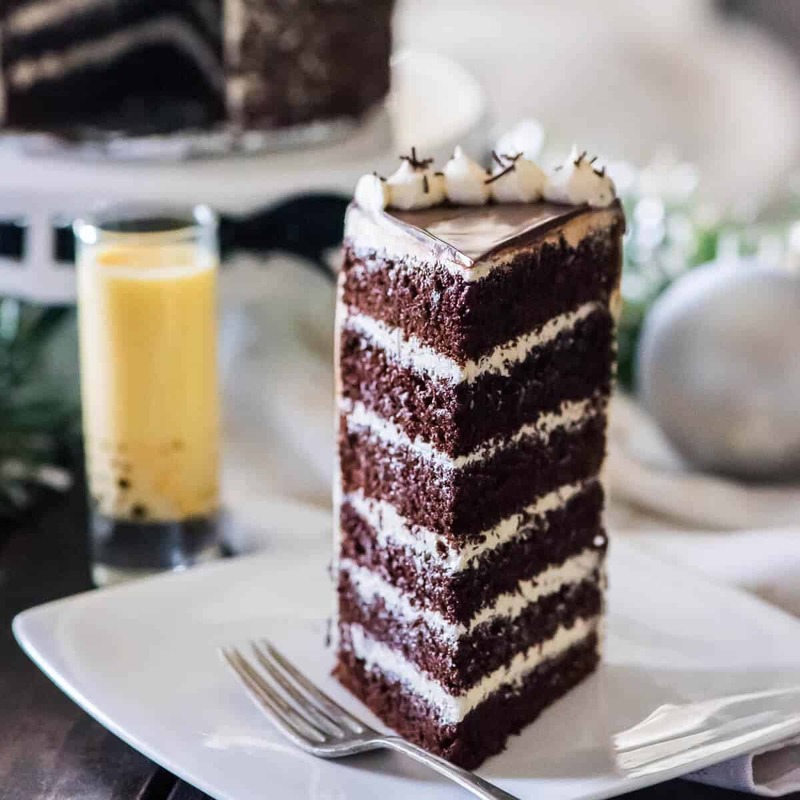 Eggnog and chocolate are truly a match made in heaven! 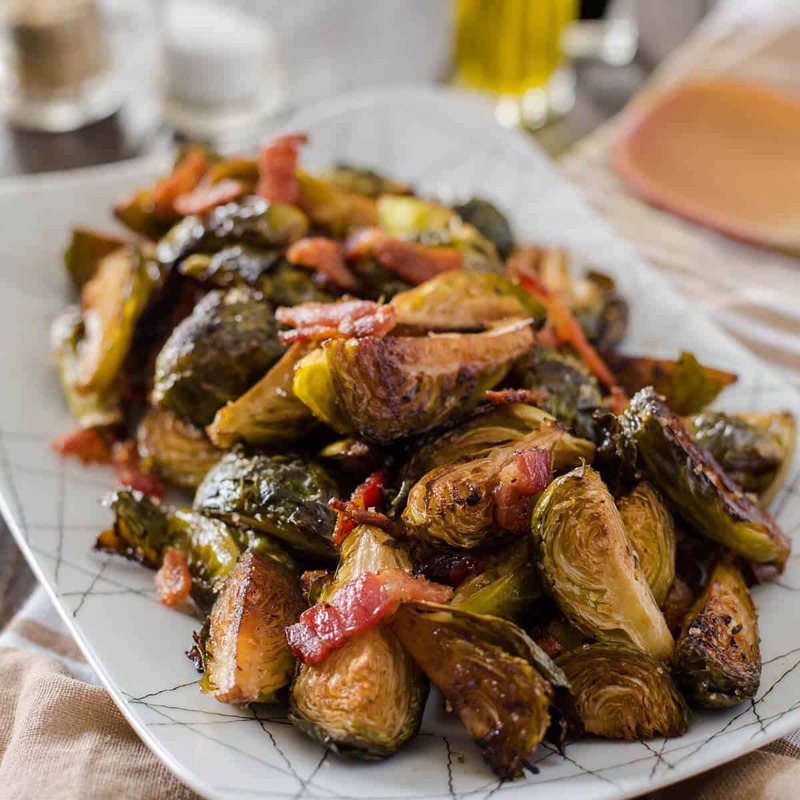 Serving these sprouts was a proud moment for me – they were never something I thought I could love as much as I do, so seeing the delight in the faces of my husband and family at first bite? Bliss. The bacon (and bacon fat) really takes these childhood-hated veggie to an all new level. I had no idea Pinterest loved bundt cakes so much! Or caramel drizzles for that matter. All completely justifiable, though. 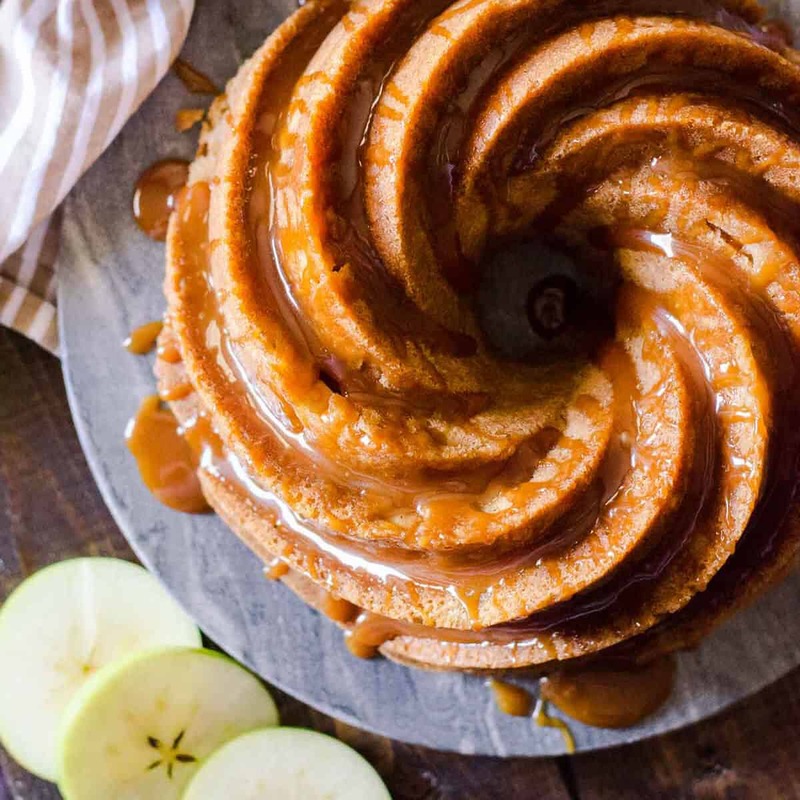 This cake is crazy good, from the spiced batter to the textured apple chunks inside: it’s a wonderful treat to serve to help yourself get down with fall. This is a leftover recipe gone totally right! I’m one of those people who can eat cranberry sauce straight outta the can, but some folks like to actually serve it with something. So I tossed it on top of a lovely tenderloin and voilà! 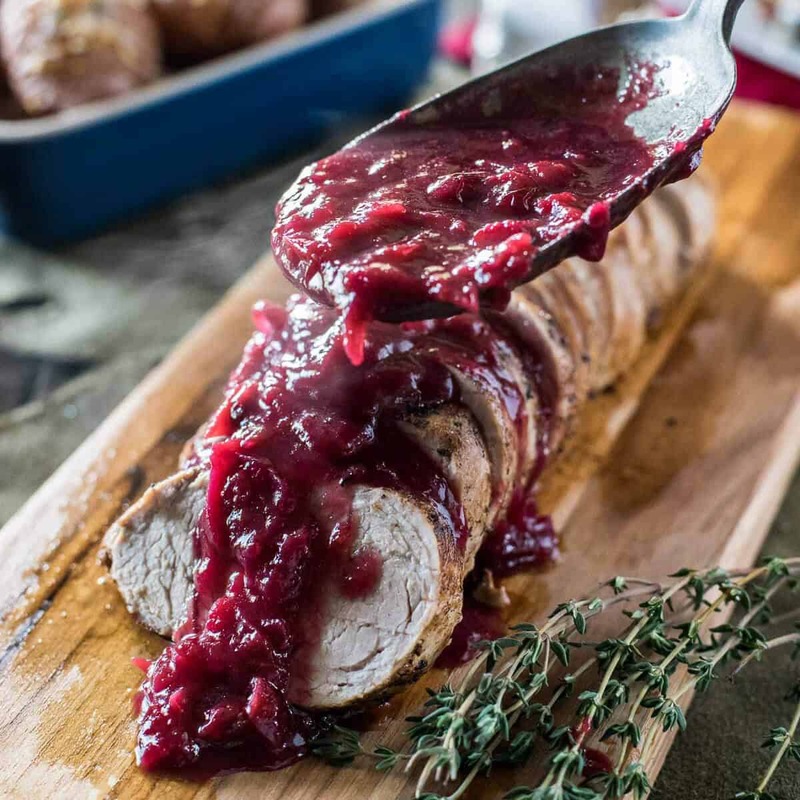 This recipe blew up the week of Christmas – proving that America only likes turkey comas once a year. This was the biggest shocker for me to see on the list. One of the simplest recipes I’ve made to date and it rounds out my top 5? I guess super fancy ice cream sundaes are trendy on social media! This breakfast dish is something my husband requests almost weekly (when we actually have time off together, that is.) 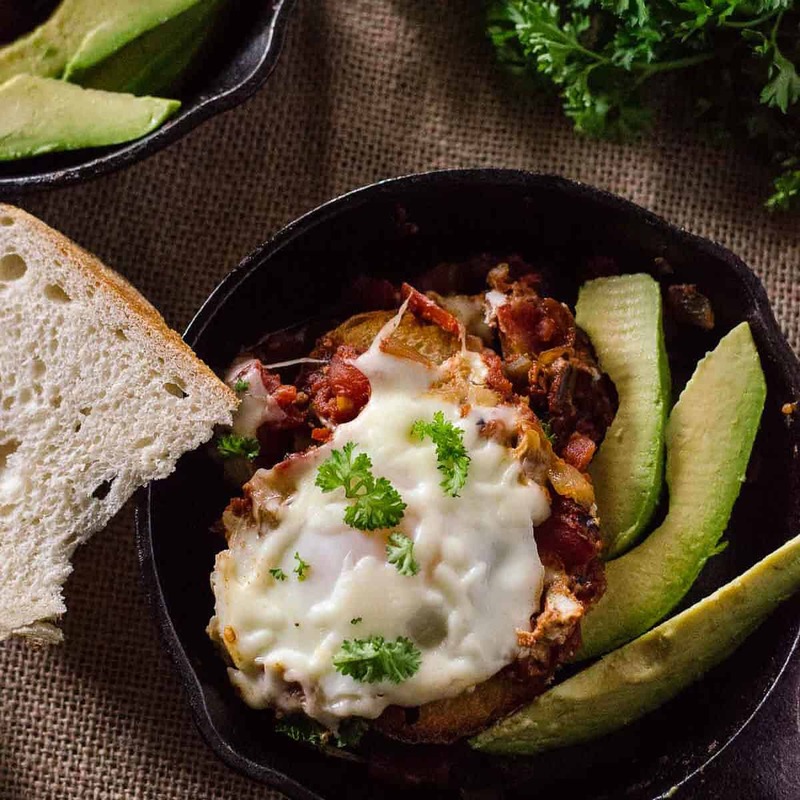 It’s spicy and hearty and pure comfort food with a big, oozy egg on top. What’s not to love? Plus, it’s super cute to serve up in the smallest cast iron skillets you can find. Chili season was good to me! What’s not to love about easy to make, easy to eat muffins that pair with just about any Southern food? 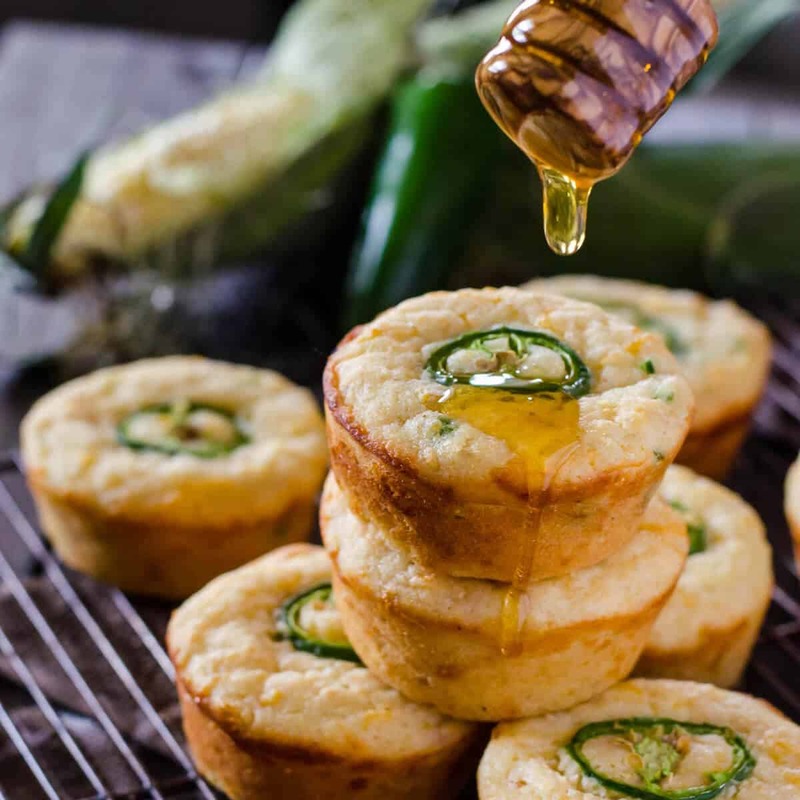 Plus – jalapeno, cheese, honey drizzle? Warm them up, slather some butter on them and you’re good to go – who needs a meal? 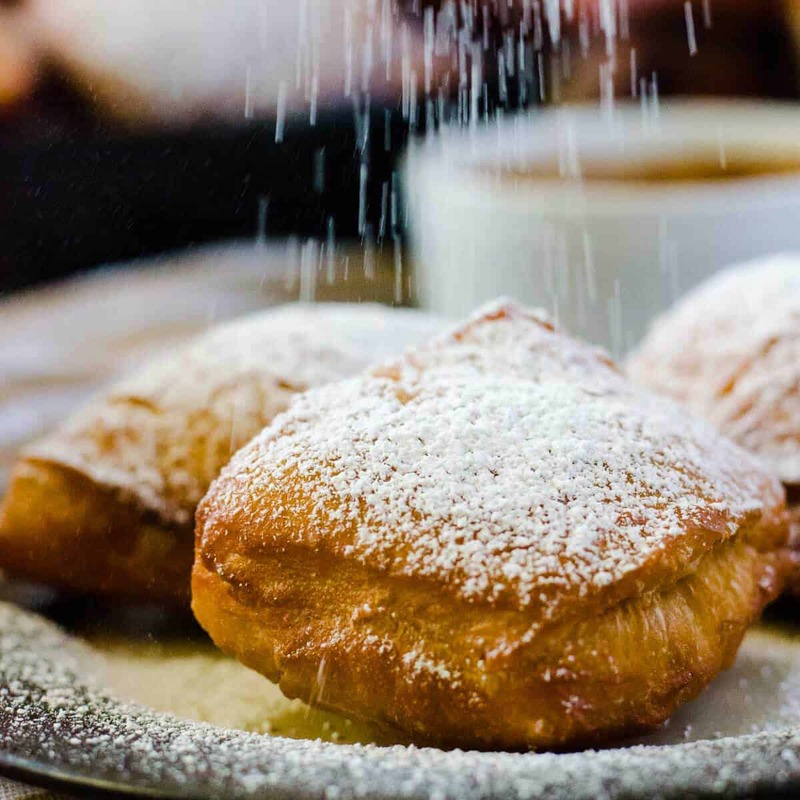 These made it to my blog at almost the same time as my trip to Savannah, Georgia early this year – where I enjoyed the best beignets I’ve ever had (because I haven’t been to New Orleans, probably.) 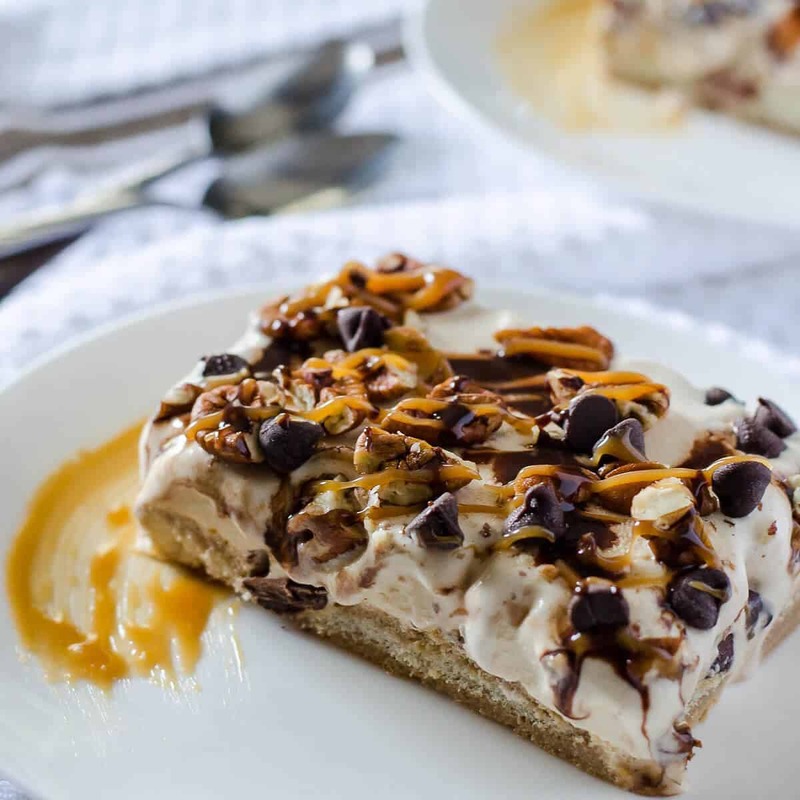 I never would have guessed that coffee creamer could make these so delish and different. My only wish is that I had known about the praline dipping sauce that’s apparently so perfect with these pillows of fried perfection! And of course, my most popular AND most controversial recipe of the year. 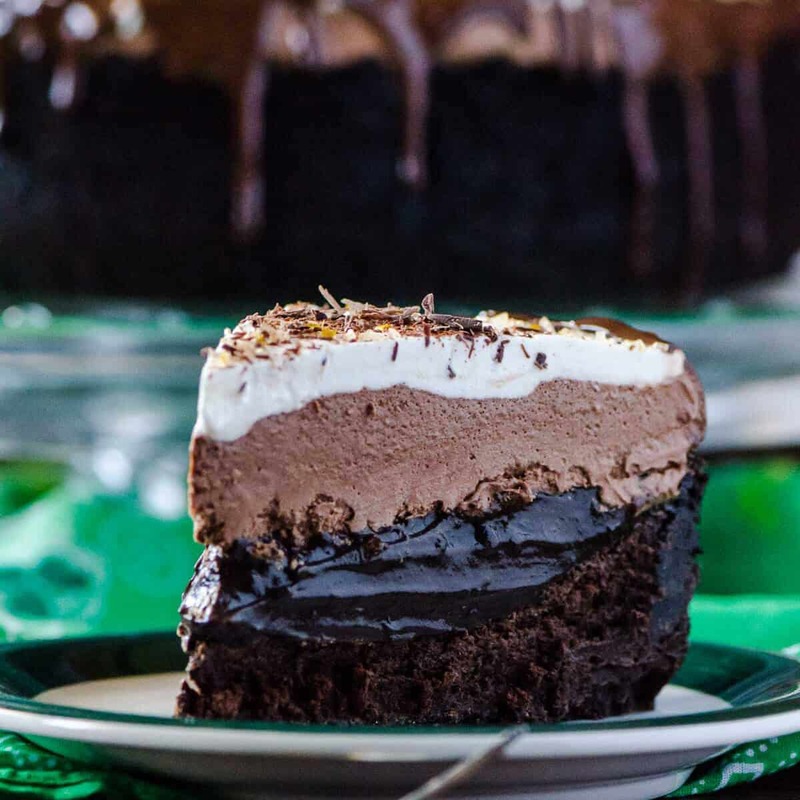 The chocolate lover’s dream – The Irishman’s delight. In spite of adapting this from a Martha Stewart recipe that I made three times before sharing it here, I still had so many folks comment their fears about the ingredients not fitting in the pan. I promise – it will all fit. It’s tight, but it works. To be safe, I’ve added an addendum to the recipe suggesting a slightly larger pan to calm any nerves. I really like to cook and bake with booze. It’s almost ridiculous coming from a non-alcoholic. In spite of people thinking I run a dessert-exclusive blog, the mix of favorites is pretty varied. That makes me happy. I didn’t touch one thing on my kitchen bucket list from last year. Ugh. 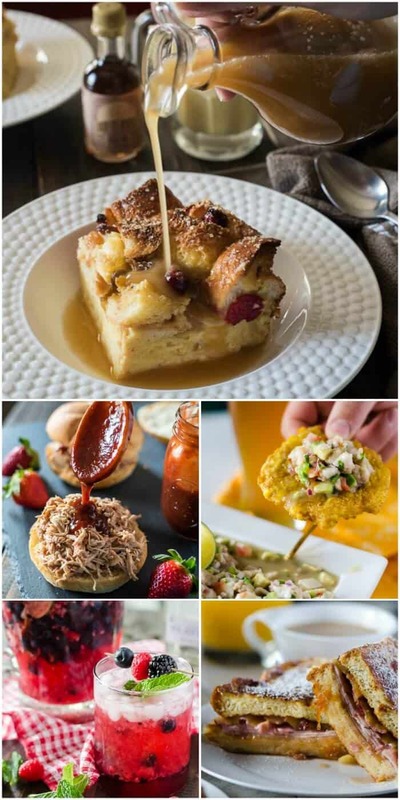 Of course, there are a few recipes (maybe more than a few, but I digress) that I worked on particularly hard (whether it was the cooking, shooting, editing, or writing bits) and can’t help but feel they never got the due they deserved. I grabbed 5 of my faves in hopes that you’ll revisit them and give them a shot! Eggnog Bread Pudding with Warm Whiskey Sauce. To be fair, this has only been on the blog for a few weeks and didn’t have a fair shot to make it to the top. It’s rebounding nicely right now, though, as folks try to get in all the eggnog they can before it disappears off the shelves for the next 9 months. It’s a custardy, eggnogg-y, delicious dessert that could easily be confused for breakfast if you’re not careful. More whiskey sauce in that case! Margarita Ceviche. I really thought my hubby and I killed with this one. Turns out not everyone is down with seafood cooked with citrus juice. Uh – at least it’s not sushi-raw. The flavors here are insane, though, and any ceviche lover will enjoy this dish. French Toast Monte Cristo. My hubby’s all-time favorite breakfast/brunch. I said he asks for Eggs in Purgatory a lot – those requests pale in comparison to how much he loves this thing. It’s huge, a little time-consuming, and supremely messy to eat, but good grief, it’s everything breakfast should be: your favorite lunch meats, Havarti cheese, thick French toast, some sweet jam, and DUH – bacon. Flavor explosion that everyone should try! 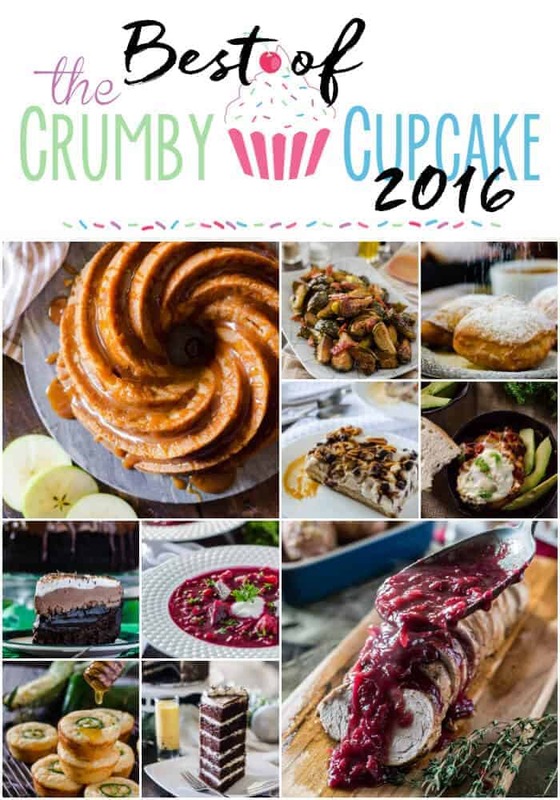 If you tried something from The Crumby Cupcake this year, leave a comment with your favorite!